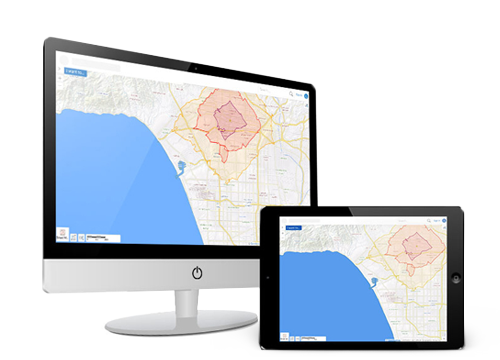 Leverage Esri’s geodatabase replica format for a fully synchronized offline experience. Geocortex Mobile App Framework allows you to run Geocortex Viewer for HTML5 as a native iOS, Android, or Windows app, with or without network connectivity. Download Geocortex Mobile App framework from the Geocortex Support Center. Install Geocortex Mobile App Framework on an iOS, Android, or Windows device. Learn which Geocortex Viewer for HTML5 features can be used offline. Map layers and basemaps must be configured before going offline. Geocortex Mobile App Framework allows users to add and modify features when offline and sync their changes back to the server when connectivity is restored. Geocortex and Latitude Geographics are registered trademarks of Latitude Geographics Group Ltd. in the United States and Canada. Other companies and products mentioned are trademarks or registered trademarks of their respective owners. Trademarks provided under license from Esri.